Atwood Magazine is excited to announce a partnership with LiveSyphon to showcase live music from across the country! 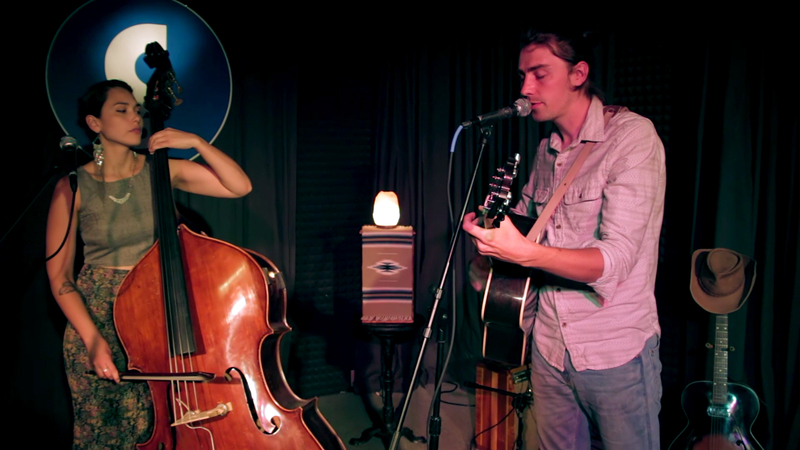 The latest in our LiveSyphon series features Athens, GA band Cicada Rhythm. There’s no question about music’s power over our emotional and physical states. Nevertheless, it’s both refreshing and comforting when we discover new songs that take our breath away. At times it’s the lyrics of a piece that do us in, captivating us with poetic presentation and/or depth of meaning. Other times, it’s the music itself that holds our ears and spirits hostage: Perhaps a particular note sequence strikes a chord inside, or a dynamic contrast jolts us out of our slumber. Sometimes, it’s both. 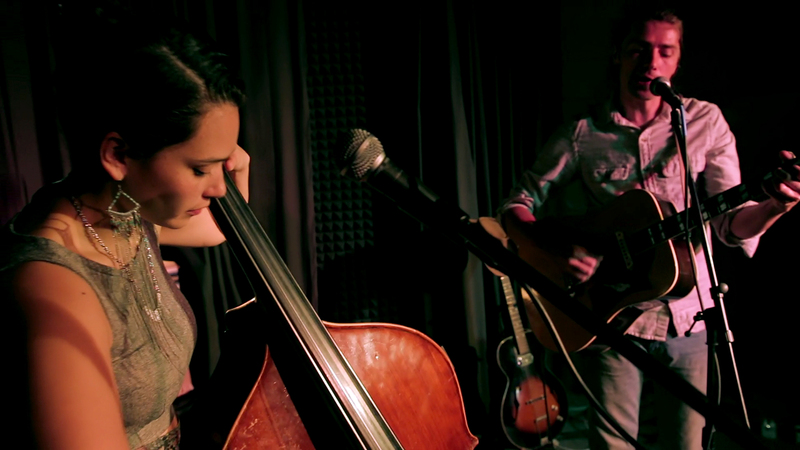 Athens, GA duo Cicada Rhythm create an unfathomably intimate musical experience with their song “Static in My Dream,” which Atwood Magazine is proudly presenting today in partnership with LiveSyphon. Real-life lovers Andrea DeMarcus and Dave Kirslis invite us into a fragile moment of hope and vulnerability that is clearly built by a sincere passion for music and bolstered by the duo’s special connection. LiveSyphon’s visual capture of Cicada Rhythm’s performance gives the audience a front-row seat from which to experience every second of “Static in My Dream.” Kirslis opens the song with a solemn, downward-spiraling guitar line that quickly finds support from DeMarcus’ bass melody. Hauntingly sweet tones escape from the upright stringed instrument as it introduces the song’s theme. The scene is set: Cicada Rhythm’s sweet, simple and overwhelmingly heartfelt music has us transfixed before a word is spoken. And when the band does begin to sing, the delivery style evokes the tremendous tear lying at the heart of this song. Kirslis and DeMarcus hold each others’ gaze, breathing in perfect synchrony. Taking a vague look at love and loss in the context of time and (as the title suggests) dreams, “Static in My Dream” offers room for heavy interpretation. One can listen to the song and think about the power of love, while another hears it and feels the fantastic effect of dreams and fantasies upon the conscious state. One can sense fear – the fear of loss; fear of death. This jumble of meanings and emotions allows for multiple levels of connectivity with Cicada Rhythm, and every way we interact with the song only brings us closer to them. So many songs have the capacity to create a euphoric experience for the listener, but seldom can a song stop cut as deeply and personally as “Static in My Dream.” Cicada Rhythm independently released their self-titled debut album in October 2015. LiveSyphon’s video of “Static in My Dream,” also recorded in 2015, brings to life one of the band’s many hauntingly beautiful, folk and roots-inspired songs. what could i do to have kept this from you, to turn back the hands of time? In anticipation of our LiveSyphon release, Atwood Magazine spoke with Andrea DeMarcus and Dave Kirslis about their music, their influences, the future, the past, and everything in between. Watch “Static in My Dream” and catch Cicada Rhythm on tour this summer! Atwood Magazine: Hey Cicada Rhythm, great to meet you! How did you two meet? Andrea DeMarcus: I think we have always been a musicians whether we wanted it or not. I don’t think Dave has ever gone a day without touching a guitar. I am forever creatively quenched by the nature and nurture of this band, and I hope to never take it for granted. What are your song inspirations drawn from? Andrea DeMarcus: Each song is created totally differently. Dave can write story songs so well, and create a scene from a different vantage point. But, I think my songs mostly come from different emotions, or tiny interactions with people in our lives. Your sound seems to draw on folk and blues in equal measure; who are some of your primary influences? Andrea DeMarcus: The Beatles, Classical Music, Roots Music, Gillian Welch and Dave Rawlings, Fleet Foxes, Wood Brothers, Joe Mcguinness, Nate Nelson & his Entertainment Crackers, First Aid Kit, Micheal Hurley and all the local music around us. 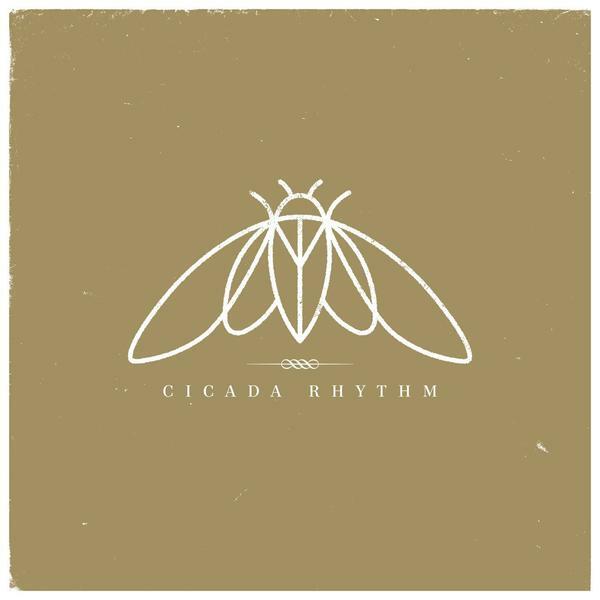 The name 'Cicada Rhythm' has an undertone to nature. In what ways do you find yourselves drawn to nature, both personally and musically? Andrea DeMarcus: Our world is natural, it would be a great shame to never pay homage to life itself. We live out in the country and plant a garden every year. I’ve written in the sun, I’ve written in the shade, the rain, the night. Nature creates, we create. Athens, GA has a history of great bands (B52s, REM, Neutral Milk Hotel); what's the scene there like and how does it affect your musical pursuits? Andrea DeMarcus: Athens has supported and created many bands, but it is no fluke, this community simply stands behind them all. I’ve never felt so welcomed and included anywhere. And it isn’t just music, its people and their art, in a very small town where there is no room competition. Musicians play in galleries, which are usually local restaurants, who are staffed by photographers and writers, who feature politicians, who defend our tiny culture that has stood the test of time. You joined Houndmouth for a tour last fall - how were you preparing for the gig? Andrea DeMarcus: We actually attended a Houndmouth show the week before we found out we were going to tour with them! They are incredible performers and we had an awesome run through cities we’d never been to. We were just hoping our pedal steel player could come, and we made it happen! How are you looking to grow on and expand your sound? Andrea DeMarcus: Part of expanding our sound right now is making sure we can execute some of the same sounds on our record. We have been trying to bring out a drummer and a pedal steel player, one or the other, whenever we can. We’ve grown fond of the bigger sound, but we are still aiming to keep the arrangements sparse. “Static in My Dreams” is haunting - evocatively light and fragile. How did you approach that song's development? Dave Kirslis: I wrote the first verse very quickly in a writing exercise one night, I recorded a phone memo of it and showed it to Andrea before we went to sleep that night. She really liked it and encouraged me to finish it. Later when she broke her hand, I finished the song with that incident mind. What goes through each of your heads when you perform that song? Andrea DeMarcus: When I perform this song I hope to feel the same emotion I felt when I first heard it. I feel it is a compassion mixed with a promise. Kind of like when you are on the verge of tears, but manage to smile it away. Not very many songs have given me that. Why did you have LiveSyphon record that song in particular? Andrea DeMarcus: It is a song we rarely play in public, because it needs a certain kind of environment. The guys at Livesyphon made it possible. One of my closest friends, Taylor was working there at the time. I love the use of time as a literal and metaphorical object in this song. How do you see time as a factor in life and in interpersonal relationships? Dave Kirslis: Hmmm, that’s a big question. Time is always a factor in time dependent situations. I try to keep mind of deadlines and dates but I’m not trying to worry or hurry because of it. Are you afraid of the passing of time? Andrea DeMarcus: I don’t know if I am afraid of time. After all it is just a name we attached to the impermanence of life. We do stay as busy as we can, which I see as some sort of optimism. What are you most proud of, about your music? Andrea DeMarcus: I love my freedom. The freedom to play and sing as little, or as much as I want. Dave allows me that, Cicada Rhythm allows me that. I am forever creatively quenched by the nature and nurture of this band, and I hope to never take it for granted. What has been your fondest moment as a band, to-date? Andrea DeMarcus: I don’t think I could ever pick one, but our first recording session of “Do Not Destroy” will live in my memory forever. Do you have any new releases or special projects on the horizon? Andrea DeMarcus: We are demoing some new material, and Dave is working on a music video idea!